The actor, known for his roles in "Marty," "McHale's Navy" and "From Here to Eternity," died at Cedars Sinai Medical Center in Los Angeles. Ernest Borgnine, the beefy screen star known for blustery, often villainous roles, but who won the best-actor Oscar for playing against type as a lovesick butcher in "Marty'' in 1955, died Sunday. He was 95. Borgnine died at 1:10 p.m. at Cedars Sinai Medical Center, spokeswoman Simi Singer told NBC4. His longtime spokesman, Harry Flynn, told The Associated Press that Borgnine died of renal failure with his family by his side. Younger fans, however, might know him as the voice of Mermaid Man from the cartoon "SpongeBob Squarepants," according to the Internet Movie Data Base (IMDB). Borgnine appeared on television hundreds of times during his long career, including "Airwolf" and "Saturday Night Live." He was on 40 episodes of the classic game show, "The Hollywood Squares." Then came "Marty,'' a low-budget film based on a Paddy Chayefsky television play that starred Rod Steiger. Borgnine played a 34-year-old who fears he is so unattractive he will never find romance. Then, at a dance, he meets a girl with the same fear. During a 2007 interview with the AP, Borgnine expressed delight that their union had reached 34 years. ``That's longer than the total of my four other marriages,'' he commented, laughing heartily. Director Nick Ray advised the actor: ``Get out of Hollywood in two years or you'll be typed forever.'' 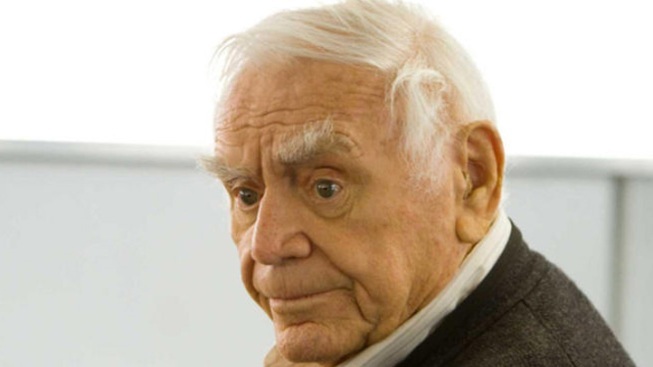 Then came the Oscar, and Borgnine's career was assured. He played a sensitive role opposite Bette Davis in another film based on a Chayefsky TV drama, ``The Catered Affair,'' a film that was a personal favorite. It concerned a New York taxi driver and his wife who argued over the expense of their daughter's wedding. From 1962 to 1966, Borgnine _ a Navy vet himself _ starred in ``McHale's Navy'' as the commander of a World War II PT boat with a crew of misfits and malcontents. Obviously patterned after Phil Silvers' popular Sgt. Bilko, McHale was a con artist forever tricking his superior, Capt. Binghamton, played by the late Joe Flynn. The cast took the show to the big screen in 1964 with a ``McHale's Navy'' movie. His first marriage was to Rhoda Kenins, whom he met when she was a Navy pharmacist's mate and he was a patient. They had a daughter, but the marriage ended in divorce after his ``Marty'' stardom. ``If you blinked, you missed it,'' Merman once cracked.